Grand Marshal FAQ – Pride Houston, Inc. The Board of Directors reserves the right to select other Grand Marshal categories for special occasions (i.e., Celebrity, Honorary, etc.). Nominees should be selected based on their outstanding accomplishments and contributions to the Houston LGBTQIA+ Community. Areas of contribution to be considered are social, political, health, youth welfare, education and business. 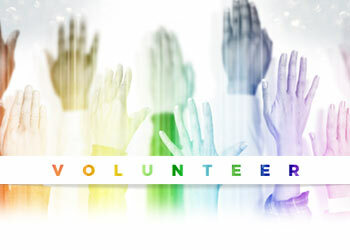 Types of contributions to be considered are volunteering, generosity, leadership roles and civic pride. Grand Marshals should be seen as role models to the community as a whole, not just be popular members of the community. This should be shown in the accomplishments and contributions they have made to the community. What are the Grand Marshal categories? What are the qualifications for each category? Male Identifying Grand Marshal nominees need to have their main residence in the Greater Houston area and should self-identify as a GBTQIA+ male or male-presenting person who has demonstrated outstanding accomplishments/contributions to the Houston LGBTQIA+ Community for more than four (4) years. No pairs or groups allowed as nominees. Female Identifying Grand Marshal nominees need to have their main residence in the Greater Houston area and should self-identify as an LBTQIA+ female or female-presenting person who has demonstrated outstanding accomplishments/contributions to the Houston LGBTQIA+ Community for more than four (4) years. No pairs or groups allowed as nominees. Gender Non-Binary Grand Marshal nominees need to have their main residence in the Greater Houston area and should self-identify as a gender non-binary presenting person who has demonstrated outstanding accomplishments/contributions to the Houston LGBTQIA+ Community for more than four (4) years. No pairs or groups allowed as nominees. Ally Grand Marshal nominees need to have their main residence in the Greater Houston area and should self-identify as a heterosexual, cisgender man or woman who has demonstrated outstanding accomplishments/contributions to the Houston LGBTQIA+ Community for more than four (4) years. A pair or couple may be nominated. No groups allowed as nominees. Why is the contact information of the Nominee required? Although everyone loves surprises, this unfortunately cannot be one of those situations. All individuals must be notified of their nomination in advance by the person(s) nominating them and then given the right to deny or accept the nomination. Can I nominate a previous Grand Marshal again? Yes! However, a person cannot be recognized for the same contributions as before. Therefore, if the individual(s) contributed in a different capacity and have continued to go above and beyond in the advancement of LGBTQIA+ rights since being a Grand Marshal, then their nomination will be accepted. What happens once I nominate someone? Nominations will be reviewed by a committee consisting of former Grand Marshals and Pride Board members for eligibility. All final chosen candidates will be announced at the Pride Houston Theme Unveiling event in January. What’s required of the nominee, if chosen, of the Grand Marshal? The nominees will be presented to the community for a final vote, the winners of which will be announced in April. A full listing of expectations will be presented to the nominees before April but include event appearances, media appearances, participation in the Houston LGBT Pride Parade, etc. 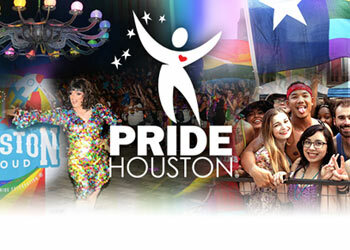 All Grand Marshal nominees and Grand Marshals should positively represent Pride Houston, Inc. in all public activities. We need people like you! Participate in the Pride Festival and Parade.